The November 2016 election of the populist Donald Trump to the White House shows how necessary a work of monitoring and analysis of the changing American political landscape has become – especially since the victory of this political outlier dovetails with similar evolutions in Europe and the rest of the world. Founded in 2000, IFRI's United States Program tries to understand American culture and politics from the inside. Furthermore, it studies the evolutions of the country’s foreign and defense policies. It lastly actively contributes to maintaining close trans-Atlantic ties, producing and broadcasting research on the United States in France and Europe while also regularly welcoming U.S. academics and officials to Paris. Fed by field missions as well as a large network of journalists, business people, diplomats, academics and researchers from American think tanks, the program's analyzes are offered in two formats: the Potomac Papers, which are about 30 pages long notes that feature our latest research activities, and the Chroniques Américaines, which covers the country's social and political current events.The program also organizes research seminars and, since 2000, a major annual conference every December. In order to inform the largest audience possible, our experts regularly intervene in the media, both in the press and audiovisual sector. 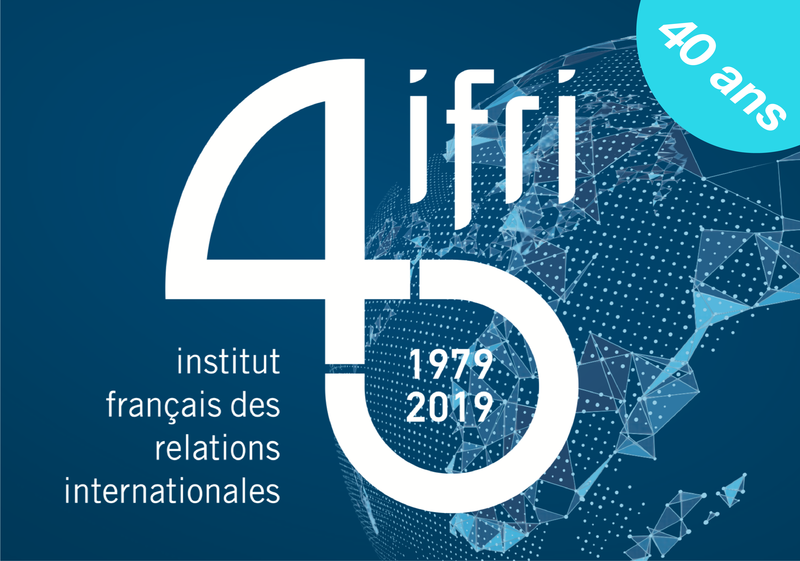 Our researchers also contribute to Ifri's main publications, the RAMSES and Politique étrangère. Associate Fellow, North America Program, Editor-in-chief of the review "Esprit"
Chroniques Américaines, policy briefs on current events. The United States has developed a vast body of legal regulations with extraterritorial application in order to tackle corruption on the international stage and to pursue companies that do not abide by the trade embargoes demanded by U.S. foreign policy. In the aftermath of the mid-term elections, the 17th edition of Ifri's annual conference on the United States took stock of the country's political and economic situation and discussed developments in the foreign policy of the Trump administration. The global environment for trade is undergoing significant changes. The Ifri Program on North America held a seminar around Jocelyn Kiley, Associate Director for Policy Research, Pew Research Center (see her bio on the Pew website). Global Ambitions and Regional Threats: How the French See their Role in the World? Kevin Rudd, 58, is a world renowned expert on China. He is fluent in Mandarin and in particular plays a major role in informal relations between the US and China, the main theme of this lunch debate. An interview with Julie CERQUEIRA, Executive Director of the U.S. Climate Alliance. PARIS — President Emmanuel Macron was put on the spot this year in front of a room full of journalists when one asked, provocatively: Which man is more dangerous, North Korea’s leader, Kim Jong-un; or Donald J. Trump? Has Trump changed his views of transatlantic relations? What should Europeans do? Is Trump's Russia policy dictated by the Russia probe? Is the American economy doing well? Will the Tax Reform change this? How could the bond markets evolve in 2018?